You can now own property in the USA from only $17,000. Fairhomes Land have great plots of land with planning permission (residential-zoned) properties in Orlando, Florida for sale. This amazing real estate opportunity is selling fast. Complete the form below to download a brochure and pricelist. 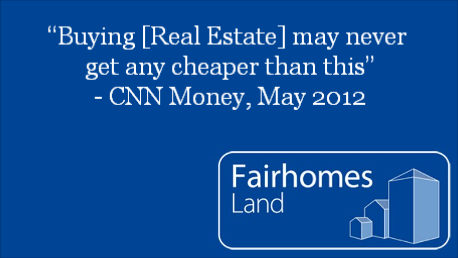 CNN say now is the time to buy investment landFairhomes' latest great product is "Build-Ready" land in central Florida. Bought direct from the bank, these foreclosed plots of land have roads, electricity, water and sewerage. Every plot has planning permission (are zoned for residential building) and can be built on straight away. The land is an ideal investment opportuity for the opportunist speculator. For more information complete the form below to request a brochure and a pricelist. 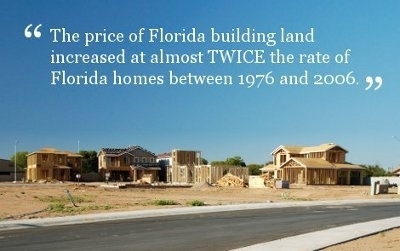 Land prices rise historically quicker than propertyFairhomes Group are experts in investing in real estate properties. We have years of experience buying distressed assets in places like America and turning them into great investments. 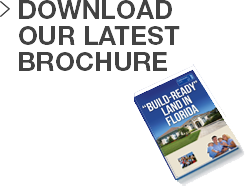 For anyone looking to buy real estate, we would recommend looking at our Land opportunities in Florida, USA. Complete the form below to request a brochure and a price list for our investment real estate in Florida, USA.